In case you missed it, Frank Gardner's Thesiger at 100 was broadcast on BBC Radio 4 yesterday morning. It's well worth a listen and available on iplayer until 20th December. The BBC have also put together an audio slideshow with excerpts from the programme and examples of Thesiger's photographs. As mentioned previously, the Thesiger exhibition at Pitt Rivers is on until June 2011 - a 'must see' for visitors to Oxford. 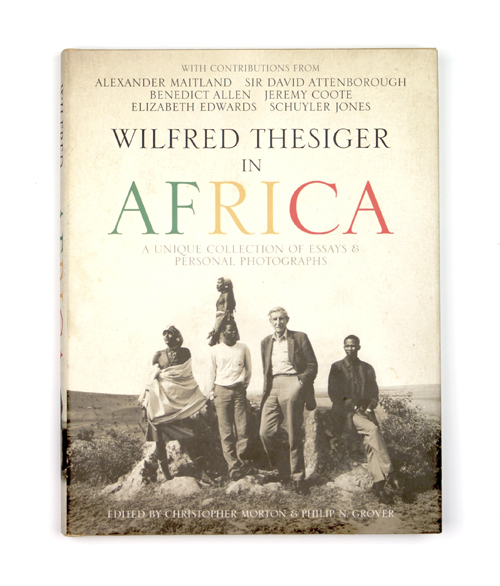 And if you can't get to Oxford, oushop is selling Thesiger in Africa on behalf of Pitt Rivers. The beautifully produced hardback was published to accompany the exhibition and contains hundreds of Thesiger's photographs. A set of postcards from the exhibition is also available, as well as a good quality Thesiger notebook.